Federal Land Banks created in 1916 were the Fannie Mae model. They too went belly up. On Oct. 20 federal regulators eased credit requirements on new mortgage loans that Fannie Mae and Freddie Mac will buy. This shows that the Obama administration believes these two lumbering giants—still operating under federal conservatorship—should continue to play an essential role in the housing market. Yet government guarantees, implicit or explicit, are a bad idea with a checkered past. Consider the Federal Land Banks, created in 1916 during the Woodrow Wilson administration. Their history shows that any semi-public mortgage company faces the same bad incentives as Fannie and Freddie did—and would again if they are revived in something like their original form. The land banks were a well-meaning attempt to help farmers in the West and South, who did not have access to credit on terms that Easterners took for granted. Instead they paid interest on loans—generally 8% or 9% a year—that were almost double what was typical in the East. Congress hoped to bridge the divide but didn’t want to spend money to do so. They therefore created 12 Federal Land Banks, officially private but with the winking support of the federal government, to create some of our nation’s earliest mortgage-backed securities, in this case for loans to poor farmers. This subtle federal support had unfortunate but familiar consequences. For one, it meant Congress allowed the land banks to have less than half as much capital as other banks at the time, making them peculiarly sensitive to losses. It also made the banks’ owners, with little worry about their own risk, overly eager to expand, making those losses even more likely. The banks went from nonexistent to some of the largest financial institutions in the nation in 10 years. When the banks got into trouble in the mid-1920s due to loans given on poor and unproductive land, the Loan Board worked to cover up dire internal reports. The worry, as the Board chairman said, was that any public revelation of the banks’ true state would be “very disadvantageous to the credit of the system.” So the losses were hidden and the bad assets kept on the banks’ books at full value, despite the realization that many of the loans were worthless. Land banks doled out mortgages in congressional districts whose congressional representatives pressured the White House and Treasury for more loans. The land banks made loans to dozens of senators, congressmen and their relatives, which they tracked in meticulously kept records on political favors. Many in Congress even publicly discussed their own extensive investments in the banks’ bonds, and the seeming necessity of supporting investors like themselves in times of trouble. The land banks, which had substantially higher losses than other mortgage companies at the time, finally went bust in the Great Depression. Congress bailed them out to the tune of $125 million in 1932. The land banks soon required even more funds and were nationalized a year later. The lesson was not learned. The land banks were privatized in 1947 but with similar hints as to their federal backing. They were bailed out during the farm bust of the 1980s to the tune of $4 billion. Fannie Mae in 1938 would be modeled directly on the Federal Land Banks system. 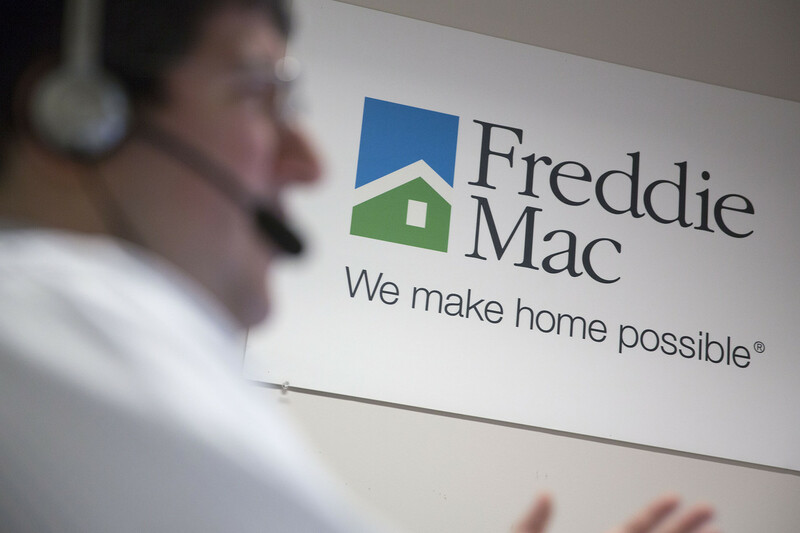 Freddie Mac was created in 1970 and modeled after Fannie Mae. Fannie and Freddie, whether they are semi-privatized or kept on the books of the government, will face the same political pressures to make bad loans, and the same economic incentives to over-expand, endangering taxpayers and the economy. If their recent bailout isn’t lesson enough, we should remember this isn’t the first time we’ve been down this road. Mr. Glock is currently a Miller Center Fellow at the University of Virginia and a Ph.D. candidate in history at Rutgers University. Posted on November 4, 2014, in Postings. Bookmark the permalink. Leave a comment.